Animal lovers, rush to see the final days of a truly spectacular journey back in time to experience the African wildlife that bounded across the still-lush lands surrounding the Nile. 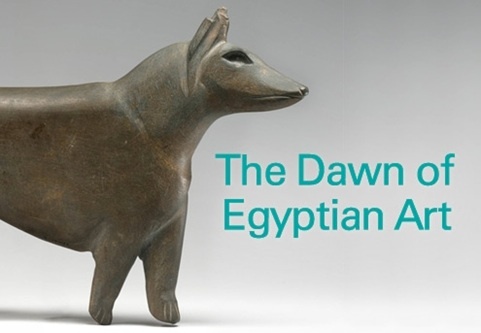 Tucked back into the lower level of the Met’s Lehman Wing, it may be easy to miss The Dawn of Egyptian Art, but don’t! 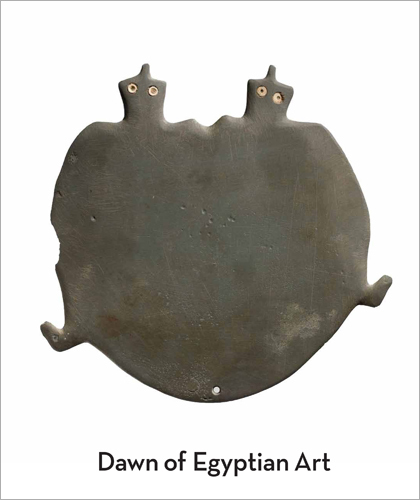 The items in this show are embellished with some of the liveliest, whimsical, and dramatic creatures, big and small, that entranced the citizens of Dynasties I and II, over five millennia ago. It’s as if the curators were mounting a show for the AMNH, because they clearly have an eco-anthro explanation about the hottest trends. Examples: elephants were commonly seen in the lands around the Nile around 3700 B.C., but they vanished from the desert (and thus, from the art) by 2649 B.C. Also, around 3300 B.C., there was art trend to portray some animals as sacred. But it wasn’t until the Upper and Lower Egyptian kingdoms were united in 2150 B.C. that animals were used as royal symbols and the well-known style of animal-head-on-human-body became the thing. Other highlights of this show include the Two-Dog Palette (which gives the famous Narmar Palette a run for its money) and a seemingly unremarkable ceramic bowl that documents a time of unprecedented high-tech innovation in 3700-3450 B.C. textile making: a new technique with ground looms that enabled the ancient Egyptians to weave the strongest, widest linen in the world (ever). Join this safari and go spot some big game through the eyes of the ancient Egyptians. This entry was posted in Art, Museums, Nature and tagged art, culture, museums, nature, textiles by mssusanb. Bookmark the permalink.